The noticeable shift in society’s relationship with food and an increased appetite for organic and nutritious choices has made ‘knowing where your food is coming from’ top of mind. Realizing that we have lost control of where our food comes from, and the growing process itself, has made us more aware and has invoked action to do something about it. Individuals and families are increasingly aware of their role in feeding themselves and are looking for solutions that are local and within their control. Foodies and chefs are optimizing food awareness through their acute desire to always prepare the best using the finest ingredients. Foodies, chefs, and families care about dietary health and the quality of their produce. The barriers to grow your own food are being eliminated one by one and innovation is offering up choices. Thanks to innovative individuals and teams, new products and concepts are popping up everywhere. Restaurants, grocery stores, and chefs are also concerned and are offering alternatives by taking the growing process back into their own hands. Locally grown, pesticide-free, fresh, nutrition-packed products are trending and bringing an awareness about the health benefits of micro-greens. Micro-greens are nutrient-rich helping us to fight fatigue, improve mental alertness, reduce allergies, lower cholesterol, and fight infection. Urban Cultivator trademarked the ‘Zero Mile Diet’. Most produce travels 1,500-2,000 miles to reach the average dinner table. Food travel adds to the food industry’s contribution to harmful greenhouse gas emissions and the travel process causes significant nutrient loss in most produce. Spearheaded by foodies, chefs, and advocates for freshly grown, sustainable food, urban farming and local hydroponics eliminate shipping costs and lower energy consumption from transporting food thousands of miles. Trading in fuel to “grow your own greens” will shave off the harmful gas emissions and will instead create a path to a green, healthy, sustainable future. Winters are long and the elements can minimize growing opportunities. 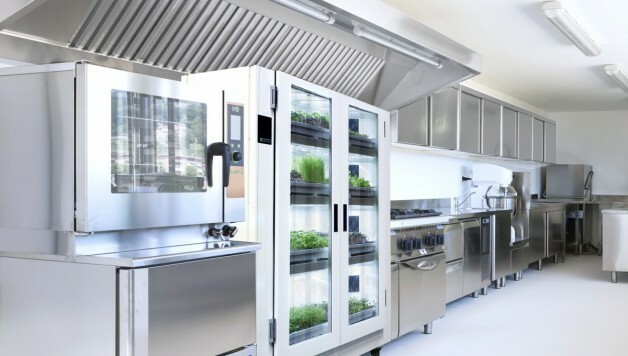 Units such as the Urban Cultivator, an innovative and sophisticated piece of hydroponic equipment, provide a solution for optimal growing conditions 365 days a year. This is a controlled environment agriculture micro-unit that successfully replicates the optimal growing environment for many herbs and micro-greens. It provides consumers with clean eating options, and the availability of nutritious foods year-round. The most advanced and finest hydroponic growing technology has been packaged in an attractive high-quality appliance. It’s pre-programmed with optimal growing cycles that automatically control the light, fan and watering of your indoor garden. The Urban Cultivator has automated air circulation that ensures the humidity and temperature of your indoor garden are perfect for your plants, and that your greens get enough CO2 to grow well and stay happy. The Urban Cultivator automatically waters your plants by following the feeding schedule you choose. It starts by pumping the water and nutrient mixture from its main reservoir, then “flooding” your garden’s trays the way nature intended. The Urban Cultivator drains the water from the trays in order to allow your plants’ roots to develop and grow. 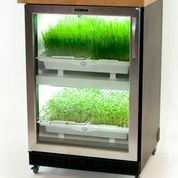 The Urban Cultivator comes wit custom-formulated plant food designed specifically for this feeding system. The nutrients are 100% organic so you can be sure you aren’t adding any nasty chemicals to your greens. Foodies and chefs will harvest lush, fresh greens every time. Many readers contact PowerHouse Hydroponics about starting an urban farming business – so we found one. 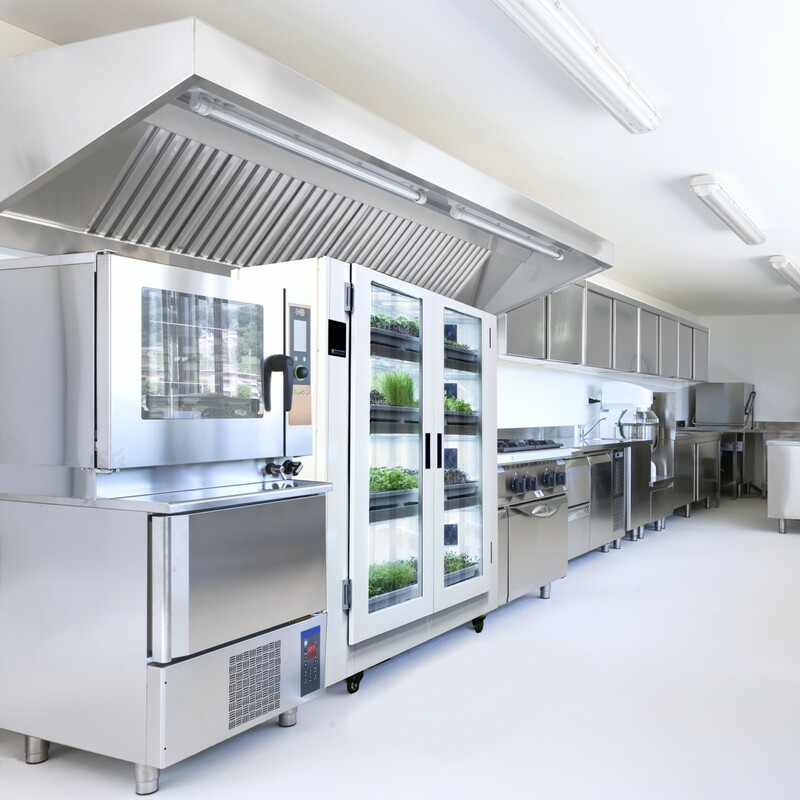 The Urban Cultivator has come up with a system that can provide you with a means for growing fresh greens for your community as a store front and smoothie bar. The design uses the latest and best in hydroponic growing technology, and packages it in an attractive high-quality appliance. The Living Produce Isle is like the coolers in your groceries store. Search you favorite produce in the growth stage and buy. Arlene Dickinson investor on the Dragons Den, became a partner in the Urban Cultivator. Martha Stewart continues to promote the Urban Cultivator through her website and show. The Jamie Oliver Foundation actively endorsed The Urban Cultivator. Ned Bell, executive chef at Yew, is an advocate and early adopter of the Urban Cultivator.